What the Barrette's family is really all about! Barrette's Small Engines Inc. has been a registered business since 1993. Due to a large growth over the years we have moved to a larger building to help facilitate our local customers. We are also the largest small engine parts dealer to serve our local Windsor/Essex County. We sell a full line of lawn and garden equipment such as; chainsaws, riding mowers, trimmers, pressure washers, zero radius turn mowers, home standby generator systems and much more to meet your outdoor needs. Norbert and Ken are two full-time Master Service Technicians that can help you with every need. We service anything from small air hand tools to anything that is operated with gasoline/natural gas power equipment. Justin, Norbert's son saw great potential with the wave of the internet. Norbert was a little hesitant on making the change, but knew that if they were to grow the company together this adaptation would be necessary. This led to the creation of SmallEngines.ca in 2003. Since SmallEngines.ca has great partnerships with large parts & products distributors, we are able to facilitate our customers with great freight costs in a timely fashion. Justin has been following Norbert's footsteps since he could hold a wrench in his hands. 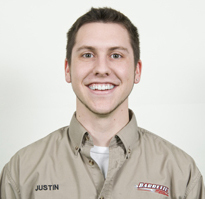 Justin graduated in 2011 from the Business Marketing program at St. Clair College to help further increase his knowledge to grow the family business. Norbert, Owner/President of Barrette's Small Engines Inc. is a Master Service Technician. Norbert started working on lawn mowers and chainsaws 30 years ago as a hobby and now made it into a business. Co-Workers, family and friends have helped him to make the business where it is today. 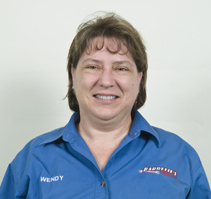 Wendy, Norbert's wife is the administrator. She has supported her husband since he started this profession as a hobby. 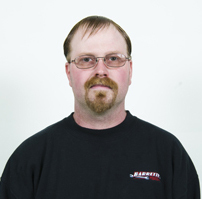 Kenneth Welch is a Master Service Technician that has been with Barrette's since 1995. Ken worked beside Norbert while he was attending the local high school. 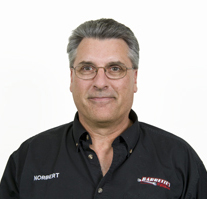 When he graduated, Norbert hired Ken as a full-time mechanic. We all continue to attend manufacturer's seminars to stay current with any new information and technology. This has also made Barrette's Small Engines Inc. currently the only Briggs & Stratton Master Sales & Service Dealer in the Windsor/Essex County area. The variety of hand held and wheeled products that we are currently selling are from Husqvarna to Briggs and Stratton Power Products. We sell Briggs and Stratton, Tecumseh, Kohler, Honda, Kawasaki and Robin/Subaru engines from 1.5HP to 38HP. We sell as small as a 1000 watt portable inverter from Subaru to as large as a 45,000 watt Home Standby Generator from Briggs and Stratton Power Products. Also, a new sport that was brought down to Windsor/Essex County area by Norbert Barrette and Kevin Campeau was Lawn Tractor Racing. The Southwestern Ontario Lawn Tractor Racing Association, also known as SOLTRA, has grown so much in our area. We currently have over 100 members in the club and are always inspiring others to join.